You will experience in first person an intense and exciting experience, in search of the precious truffle. 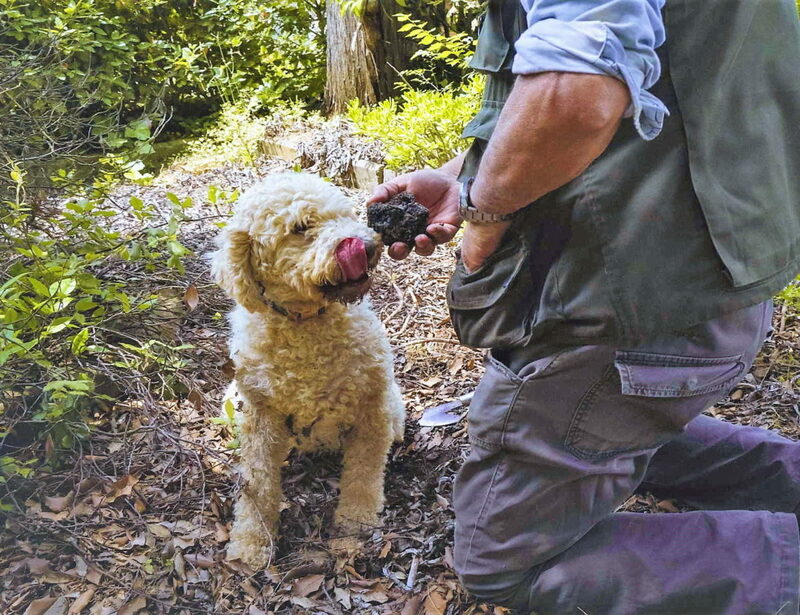 An expert truffle hunter will guide you through the paths of the woods of the Valdichiana Senese, telling you stories and legends related to this territory, as well as to the practice of truffle hunting. The research will take time and patience, but with a little luck, at some point, you may see specially trained dogs start wagging and sniffing more and more at a bush, or at the roots of a tree. 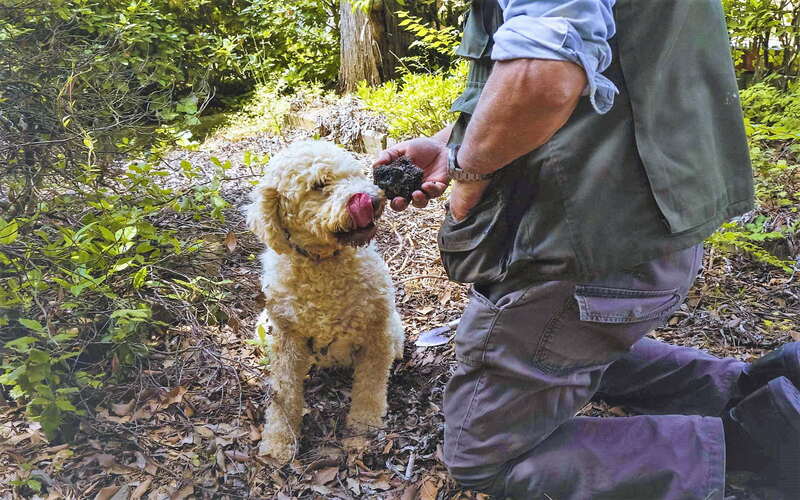 If they will start to stick their nose more and more into the ground, digging with their front legs, then the treasure could really be close, and the truffle hunter will give to his dogs their well-deserved reward. Who knows if they can find others? At the end of the hunt, it will be time to sit down at the table to taste delicious recipes based on the precious truffle, paired with local wines.